While they had accomplished their goal, suffragists knew that their work was far from over once the 19th Amendment was ratified in 1920. Carrie Chapman Catt advocated for a “league of women voters to finish the fight.” Catt wanted women to be well informed and work together on issues. She called the possibility of women working together as a cohesive, nonpartisan group an opportunity. First led by Maud Wood Park, the League of Women Voters sought to inform citizens (male and female) about the issues. The League also set out to establish legislative goals for a range of issues. The idea was that a better-informed electorate would lead to better-formed policies. A nonpartisan group, the League is still going strong today. Though the League of Women Voters operates as a national organization, there are state and local leagues as well. In Brookline, the League of Women Voters has the same goals as the national organization: to educate voters and work on vital issues of concern to members and the public. 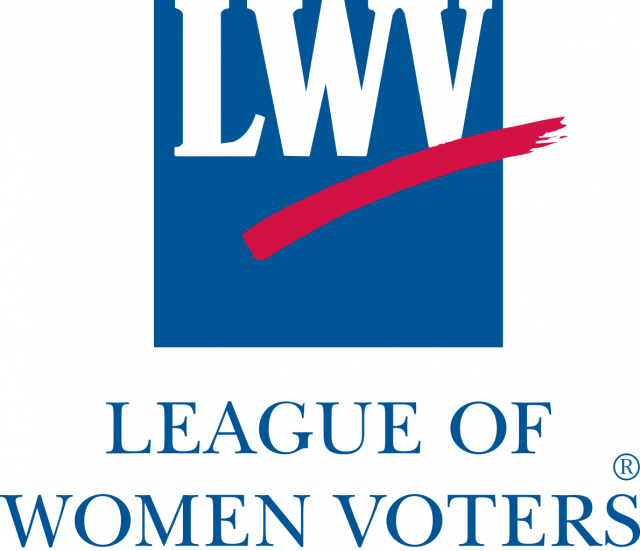 Supported by dues and donations, the LWVB conducts voter service and education activities and advocates for positions on issues its members have studied reached consensus. The LWVB uses grassroots organization to both inform the public and to advocate for policy changes. In order to keep up to date on the issues, the LWVB has a monthly “2nd Friday at Panera” in Coolidge Corner at 9:30 a.m. Together, members discuss issues like education, bicycle paths, and the economy. All are welcome, so I encourage you to come—and bring a friend! The LWVB has other events as well. On March 13 the, the LWVB had their annual Day on the Hill. This year’s theme was “Democracy is Not a Spectator Sport” and featured Rep. Thomas Conroy and Elizabeth Saunders of Clean Water Action as speakers. Afterward, Brookline League members had lunch with their state representatives. Getting involved with a local branch of the LWV is important, even when it is not an election year. At the local level, there are always local elections and events. Being informed about issues and candidates is important—after all, at the local level, they may affect you the most. To learn more about the League of Women Voters of Brookline, go here or “like” our Facebook page here. And do not forget to vote on April 30th! Written by Chris Chanyasulkit, Commissioner (Asian American Commission, MA Commission on the Status of Women, Brookline Commission for Women), BAAFN Steering Committee Member, Education Board and Joint Policy Committee Member of the American Public Health Association, TMM Precinct 13, Emerge Massachusetts 2012.